HINSHAW, Harold E. 84, of Springfield, Ohio passed away Monday, November 14, 2011 in Miami Valley Hospital. He was born November 5, 1927 in Ross County, Ohio, the son of Earl and Florence (Flick) Hinshaw. Mr. Hinshaw owned and operated Hinshaw Suzuki Sales with his brother Joseph for 21 years. He is survived by his loving wife of 63 years; Wanda M. (Swank) Hinshaw, two children; Almeda (Robert) Flowers, Columbus and Donald (Marsha) Hinshaw, Springfield, three grandchildren; Karen Flowers, Jeremy (Wendy) Hinshaw and Jason Hinshaw, two great grandchildren; Hannah and Amelia Hinshaw, numerous nieces and nephews and special friends. Visitation will be held from 5:00PM until 8:00PM Friday in the JONES-KENNEY-ZECHMAN FUNERAL HOME. Funeral services will be held at 1:00PM Saturday in the funeral home with Mr. Hinshaw's nephew; Roger Hinshaw and his sister-in-law; Christine Hinshaw officiating. Entombment will follow in Rose Hill Mausoleum. In lieu of flowers contributions may be made to the Animal Welfare League of Clark County c/o 701 Basswood Drive, Springfield, Ohio 45504. 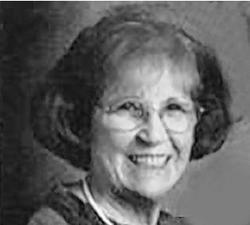 HINSHAW, Wanda Marie 81, formerly of Springfield, passed away peacefully Thursday, August 7, 2014 in Abbington of Arlington. She was born April 17, 1933 in Grove City, Ohio the daughter of Roy and Lena (Boyer) Swank. Mrs. Hinshaw had attended Story Hypes United Methodist Church. She was a member of the Franklin County Republican Women's Club where she was given the honor of being the Woman of the Year and had December 6 set aside as Wanda Hinshaw Day. She enjoyed gardening, sewing, cross stitch and motorcycling and still maintained her license to operate a motorcycle. She had been employed as a beautician and had owned a beauty shop. Mrs. Hinshaw was also employed at McKinnon's Flower Shop, American Nursing where she was a favorite working as a home care nurse and had worked for Bruce Knight Antiques and at his flea market and campgrounds. Survivors include two children; Almeda "Elizabeth" (Robert) Flowers, Columbus and Donald (Marsha) Hinshaw, Springfield, three grandchildren; Karen Flowers, Jeremy (Wendy) Hinshaw and Jason Hinshaw, three great grandchildren; Hannah, Amelia and Jack Hinshaw, two sisters; Idamae Addy, Chillicothe and Mildred Feasel, Columbus and numerous nieces and nephews. She was preceded in death by her beloved husband; Harold E. Hinshaw, November 14, 2011 and her parents. Visitation will be held in the JONES-KENNEY-ZECHMAN FUNERAL HOME from 5:00PM until 8:00PM Friday. Funeral services will be held at 11:00AM Saturday in the funeral home with Mrs. Hinshaw's sister-in-law Christine Hinshaw officiating. Entombment will follow in Rose Hill Mausoleum. If desired, memorial contributions may be made to: National Parkinson's Foundation Gift Center, P. O. Box 5018, Hagerstown, Md. 21741. 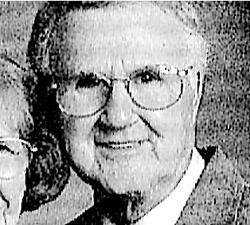 Obituary of Harold Eugene Hinshaw. Obituary of Wanda Marie Swank.